Prime Minister Narendra Modi announced the launch of the new flight at the SAP center cheering up thousands of Indians. Air India has announced it would connect Delhi to Silicon Valley hub San Francisco with a non-stop B777-200LR flight from December 2. This will be the first non-stop flight to operate on the route. San Francisco will become Air India’s fourth destination in the United States. It operates daily non-stop flights to New York, Newark and Chicago. “It is a big move by Air India,” remarked chairperson Ashwani Lohani. Along with its direct flight to San Francisco, the airline also announced a ticket coupon scheme of 15-30 days validity and the launch of holiday packages in collaboration with state tourism development corporations. “The San Francisco flight will make travel easy and convenient for students and parents of non-resident Indians. 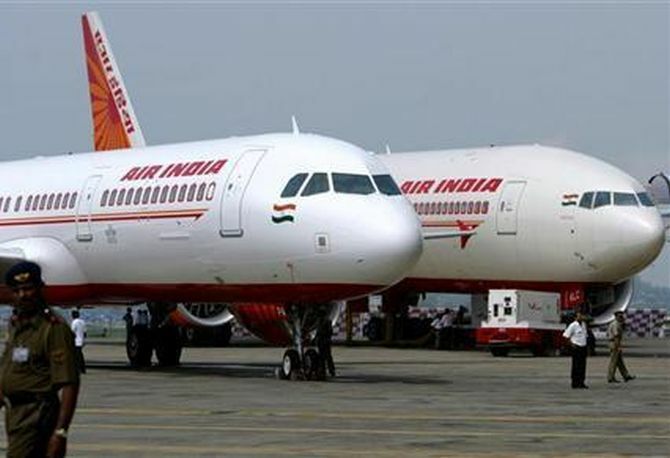 Business travellers looking for short stays and direct options will also be hugely benefited by this connection, just like the existing three non-stop flights,” Air India said. Passengers from Mumbai, Bengaluru, Chennai, Kochi, Hyderabad, Ahmedabad and Pune will have seamless connections to the flight from Delhi. Likewise, the return flight from San Francisco will provide onward connections to Bengaluru, Mumbai, Chennai, Kolkata, Hyderabad, Kochi, Ahmedabad, Pune and Bhubaneswar. The flight to and from San Francisco will operate three days a week, on Wednesday, Friday and Sunday. The airline will also launch Incredible Air India Holiday Packages from December 1, in association with state tourism development corporations. The packages will cover air and surface transportation, hotel accommodation on bed and breakfast basis and sight-seeing tours.